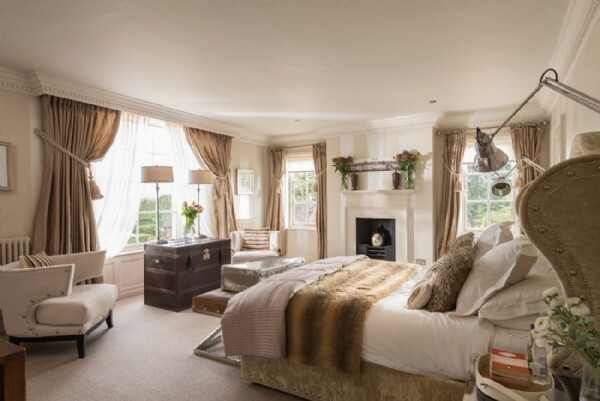 The opulent master bedroom sits on the second floor and boasts a king-size bed, vintage chandeliers and an original fireplace. 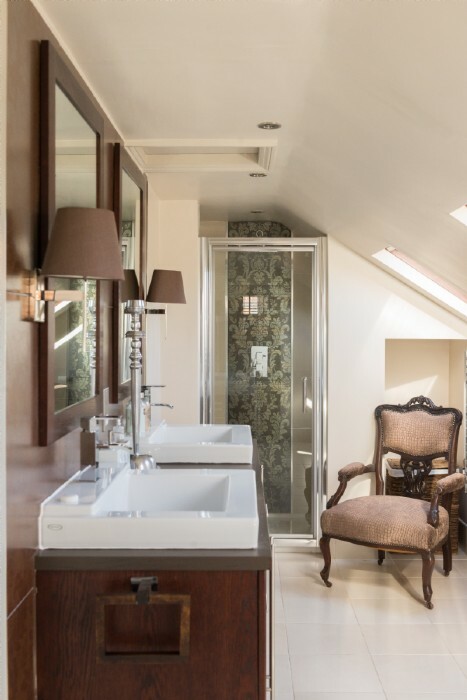 The luxurious en suite features his and hers sinks, a spacious monsoon rain shower and a separate bath tub with Jack-and-Jill access to the second floor twin bedroom. 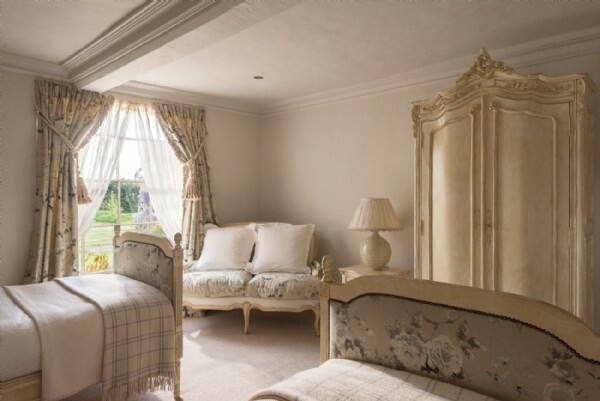 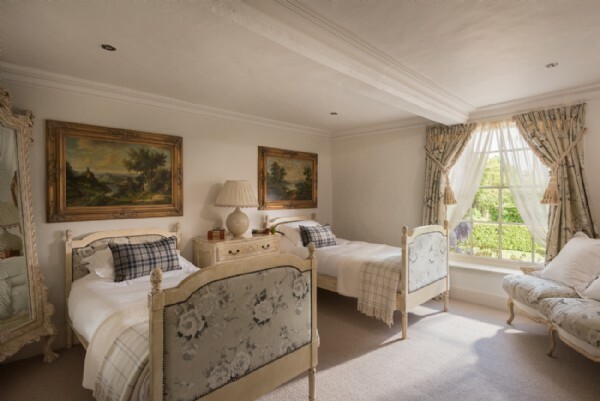 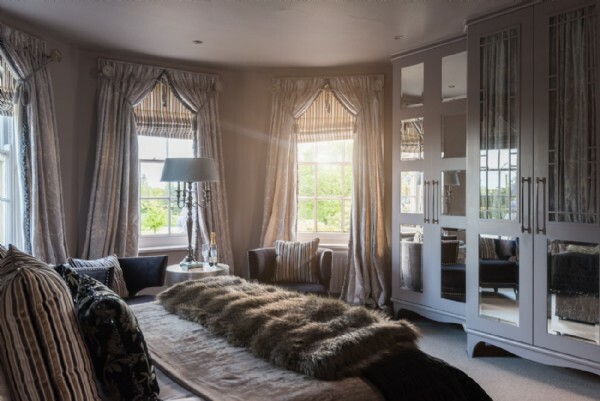 This sumptuous bedroom sits on the first floor and has dual aspect windows, letting the light spill through and allowing guests to soak up views of the countryside. 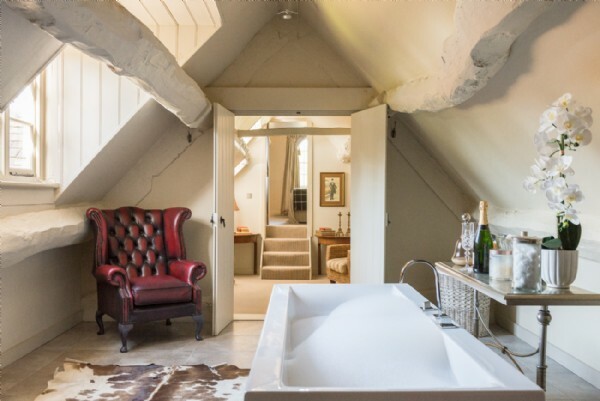 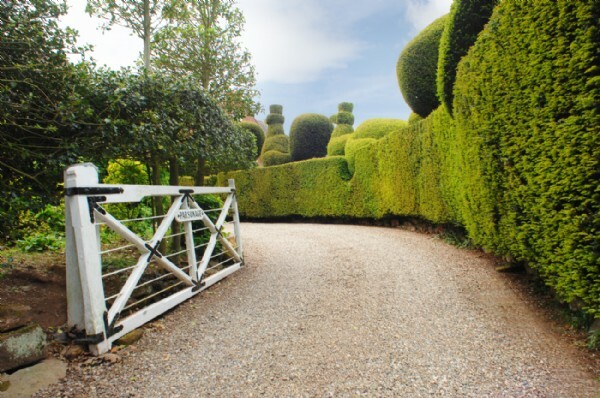 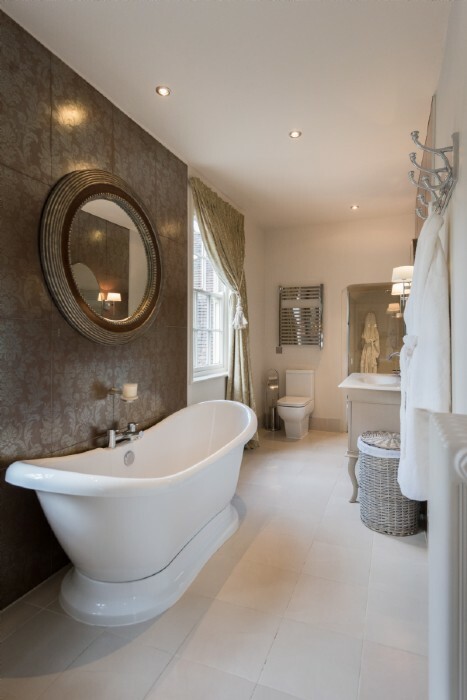 The en suite has a large walk-in monsoon rain shower and a separate luxurious bath tub. 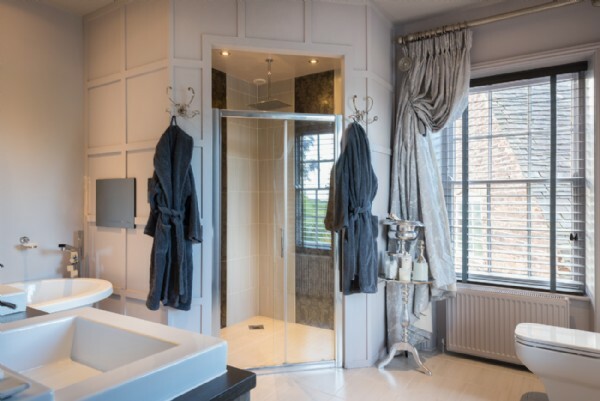 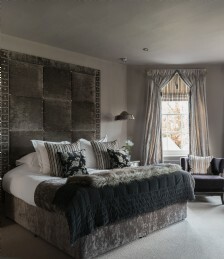 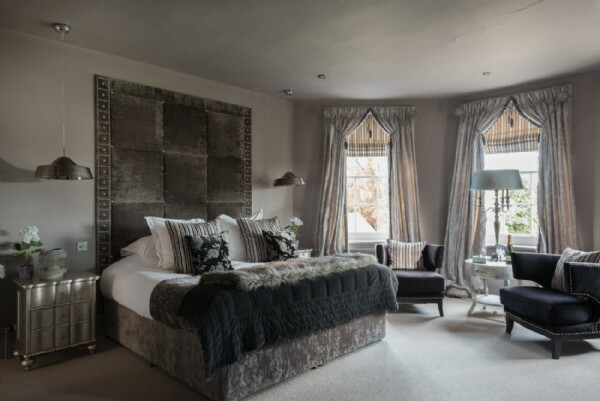 The second en suite double bedroom on the first floor features a monochrome interior scheme with luxurious velvet furniture pieces and a television concealed within the mirrored wardrobes. 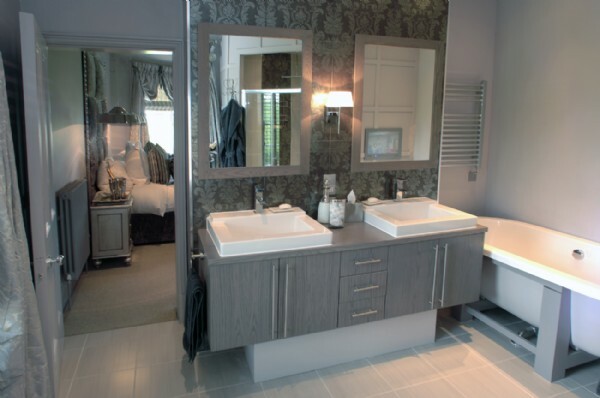 The en suite has his and hers sinks, a deep bathtub (with a wall-mounted television) and a separate monsoon rain shower. 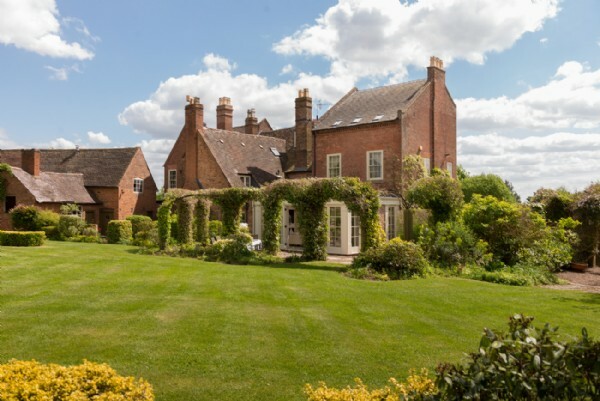 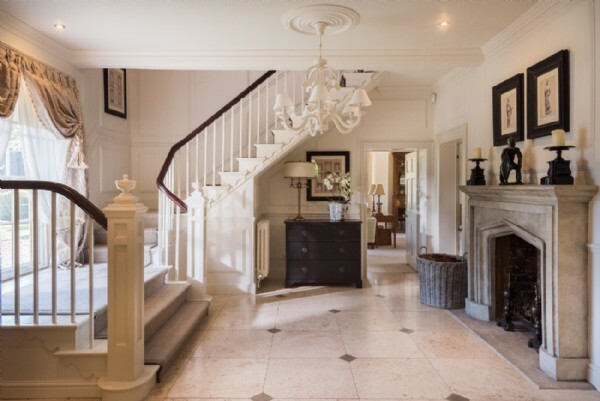 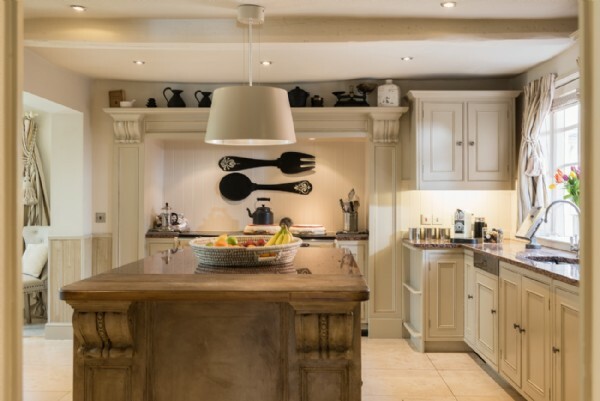 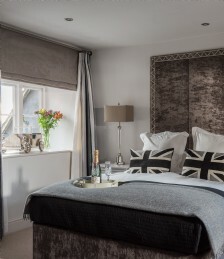 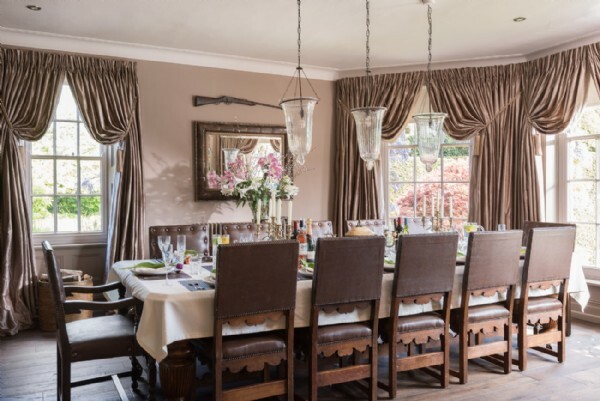 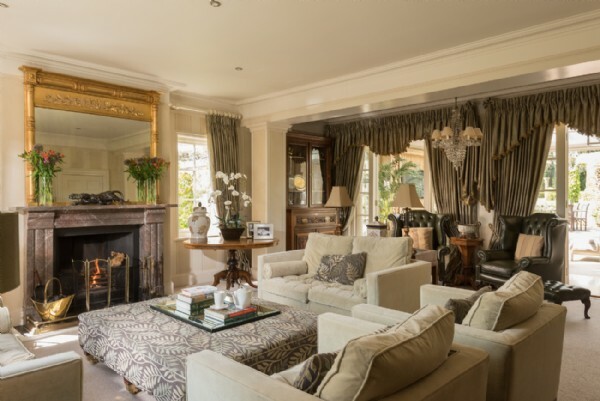 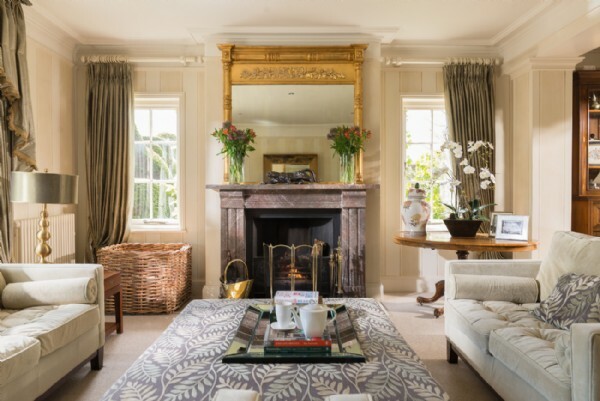 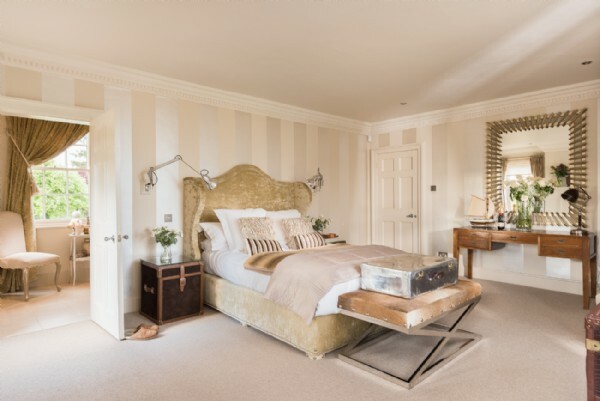 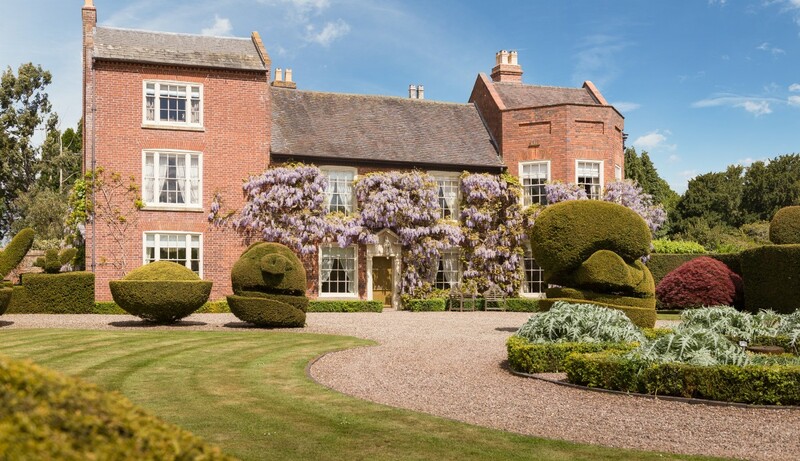 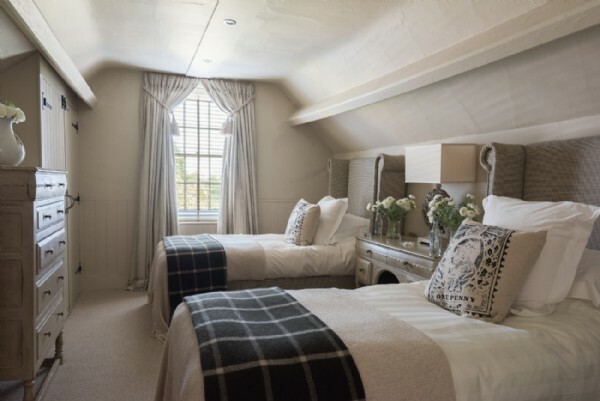 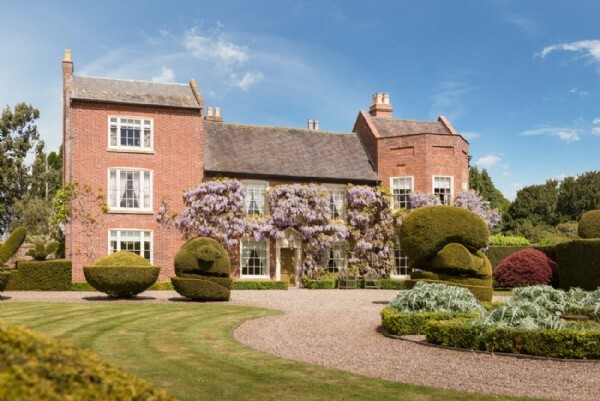 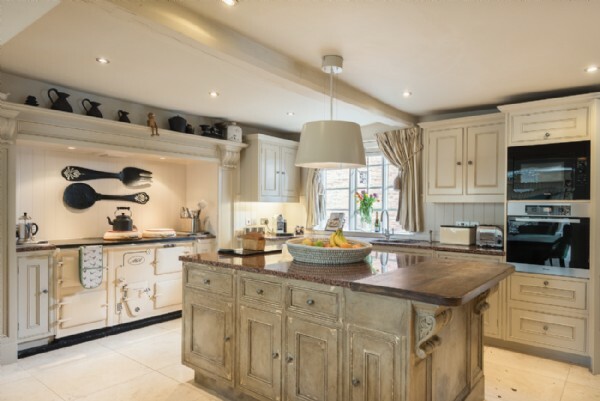 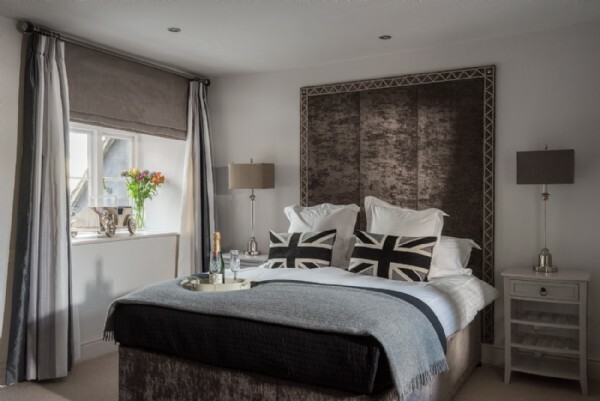 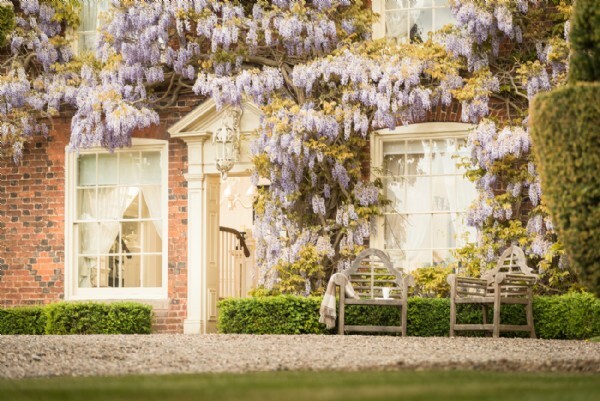 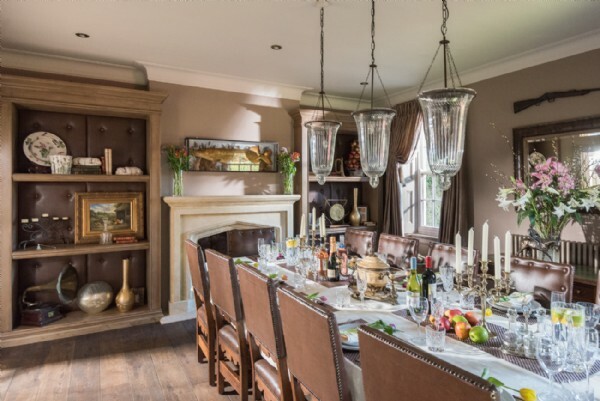 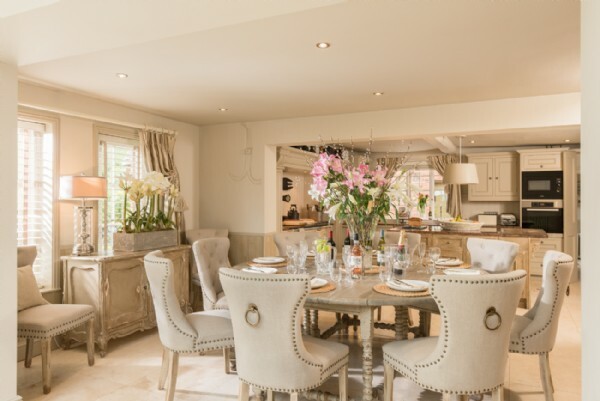 The modern double bedroom sits on the first floor and has a velvet bed adorned with luxurious linens and Union Jack print cushions, adding a contemporary twist on this English country manor house. 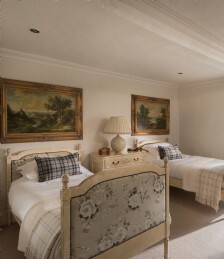 This bedroom shares the next door family bathroom with the first floor twin bedroom. 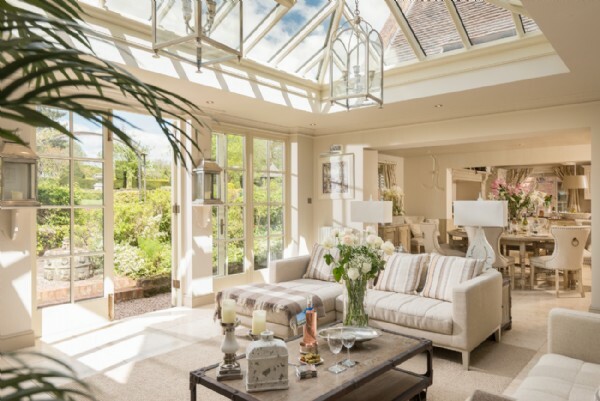 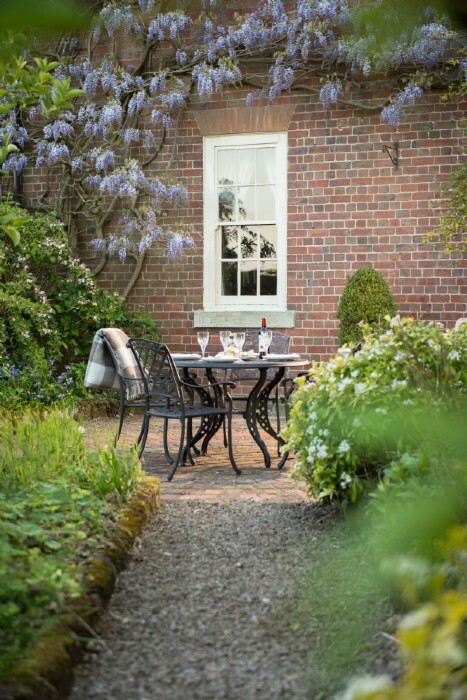 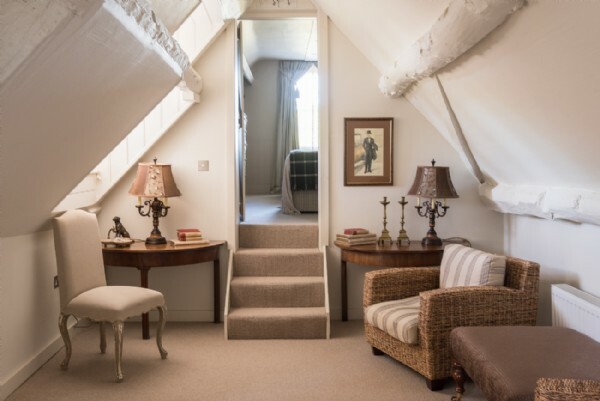 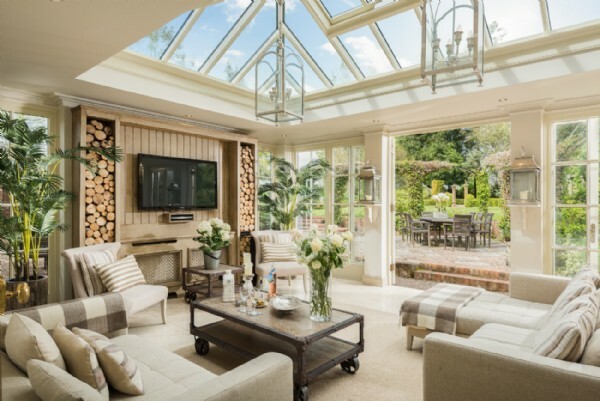 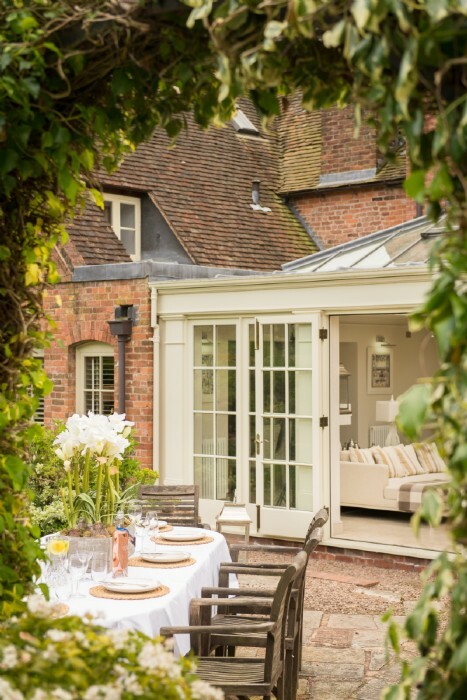 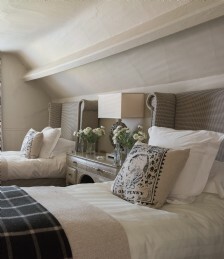 The twin attic bedroom resides on the second floor and enjoys views out over the garden. 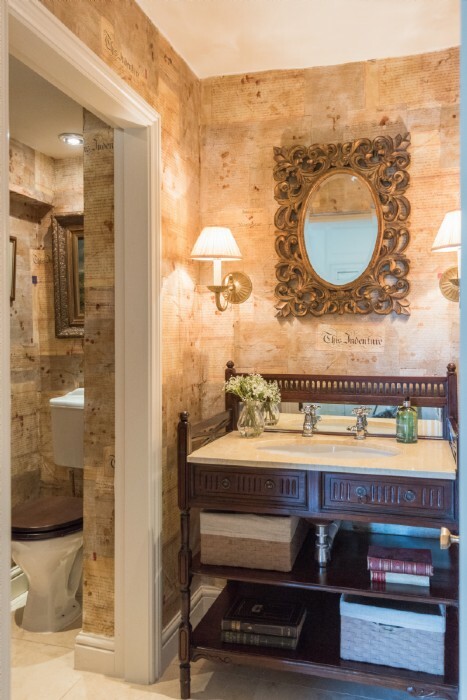 There is a small dressing area which leads to Jack-and-Jill access to the separate bathtub for the master bedroom. 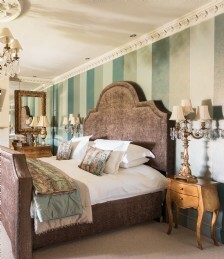 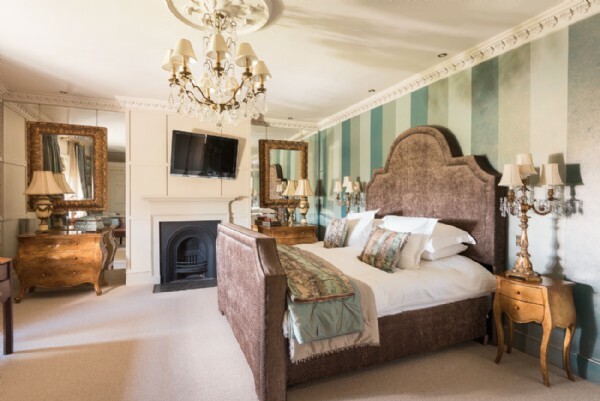 This elegant twin room decorated with paintings in ornate gold frames, floral pattered beds and an ornate chaise longue sits on the first floor and shares the family bathroom with a double bedroom.